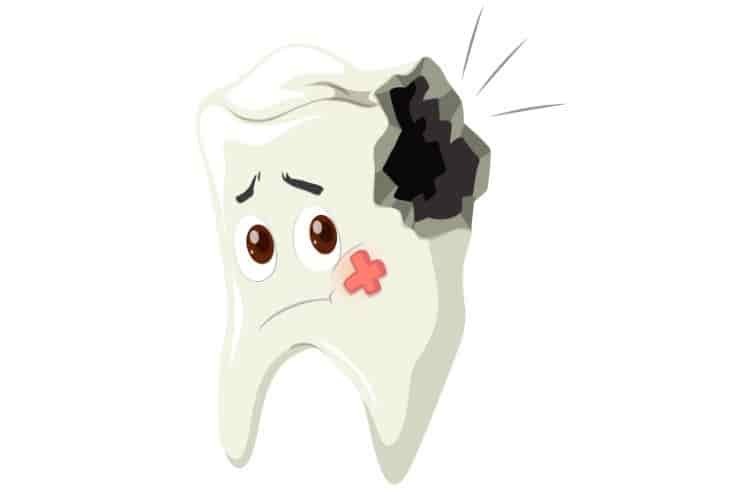 A cracked tooth or a tooth broke in half can be a harrowing experience. An array of symptoms comes with it and dentists also call it cracked tooth syndrome. The split or fracture can be vertical in most cases, and dentists also refer to this split as greenstick fracture. The primary sign that differentiates the pain of a cracked tooth from other dental pains is a pain on releasing your bite. Whereas in all other kinds of dental pain it hurts when you bite. Such a sign is a classic diagnostic point to look out for in the process of diagnosing a split tooth. The main reason for a split tooth is a direct impact or trauma to the tooth. There are also some minor reasons like teeth grinding, improper bite and tobacco chewing. Diagnosing a cracked tooth is difficult because of multiple overlapping symptoms. Dentists often do pulp vitality tests to see if your tooth is salvageable. A split tooth is completely curable if you want to keep that tooth in your mouth. Otherwise, you can always go for an extraction followed by implants. What is a cracked tooth and how does it look? A cracked tooth typically shows one distinct sign, which is a pain when releasing your bite from that tooth. Pain reduces in due time because when you are biting down, the cracked segments are usually moving apart. Biting reduces the pressure from the nerves into the dentin of the tooth. When you release the bite, segments of your tooth tend to move back together sharply. Releasing the bite increases the pressure in the nerves in your tooth causing pain. The pain is often inconsistent, and hard to reproduce. If you don’t pay attention, it can lead to severe pain, pulpal death, abscess, and even the loss of the tooth. If the fracture extends into the pulp, dentists call it a complete fracture or total tooth split. Complete fracture leads to pulpitis and pulp death. If the crack extends further into the root, a periodontal defect may occur. In turn, you may lose your teeth from a minor split. Sharp or fleeting pain arises while releasing a bite on a cracked tooth. The pain may increase or decrease on biting on the tooth depending upon the extent of the crack and bite pressure. You feel immense pain when gliding the teeth backward and forward and side to side. Acute pain may occur when drinking cold beverages or eating frozen foods. Although, there is a lack of discomfort with hot edible substances. Pain when eating or drinking sugary substances. Tooth crack in the upper molar tooth is possible if you suffer from bruxism. When the pain is localized, you can determine the exact tooth from which the symptoms are originating, but not always. The diagnosis of a cracked tooth is tedious even for skillful clinicians. The signs are highly variable from case to case. A split tooth often mimics sinusitis, temporomandibular disorders, headaches, ear pain, or atypical facial pain/atypical facial pain. When diagnosing the cracked tooth, a dentist takes many factors into account. A bite-test is a conventional method to confirm the diagnosis. For this, you have to bite down on either a Q-tip, cotton roll, or an instrument called a Tooth Sloth. A direct head-on impact to a tooth may cause it to split. You may often see this type of tooth split in athletes and sportsmen. Bruxism or teeth grinding is a primary cause of enamel loss. Lack of enamel makes your teeth prone to fractures and splits. Sometimes people clench or bite forcefully under stress. If this becomes a habit, you may split your tooth with a sharp, forced and sudden bite. If you have misaligned tooth, your bite may be incorrect. If you have an open bite or a deep bite, you may split a tooth while biting all of a sudden. If your dentist overfills a cavity in your tooth, due to increase in internal pressure, your tooth might split in half. What to do as first aid at home? Apply ice packs on the affected tooth. Place ice chips on the affected side. Over the counter pain medicines like ibuprofen may help. Root canal therapy will extirpate your ailing pulp and replace it with inert dental cement. Dentists call this cement, gutta-percha. All pain and symptoms of a cracked tooth will go as soon as the pulp is gone. Crown restoration with bonding is by far the best solution for shallow cracks leading to cracked tooth syndrome. Bonding is also a type of clinical reattachment procedure. Dentists might also use wires to hold the broken parts of your split tooth together. They then apply remineralizing cement in the crack and give your tooth time to heal itself. This process works on minor splits. If you don’t wish to save your tooth, you can go for extraction. After extraction, you can replace the cracked tooth with an implant or removable denture. 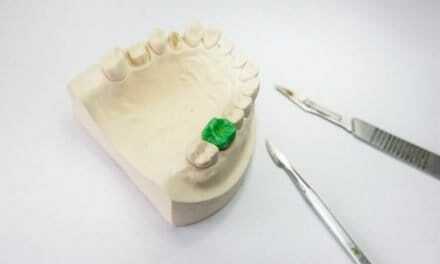 If you reach out to your dentist in time, he may help you with a custom-made mouth guard. These guards case your teeth externally and act as a shock absorber, protecting your teeth from direct trauma. Using a headgear and chin guard prevent shocks from lateral blows in boxing. The chin guard prevents tooth and jaw fracture if you fall on your face. A split tooth can be unbearably painful. It may come with various signs and symptoms often confusing you with its diagnosis. But rest assured, once the diagnosis is complete, your teeth is entirely curable even if split in half from crown to root tip. If you are a sportsman or you have bruxism, reach out to your dentist for a mouth guard. These not only prevent trauma but also acts as a cushion for clenching and trauma. Root canal therapy and crown restoration are the most effective treatment modalities for a split tooth. 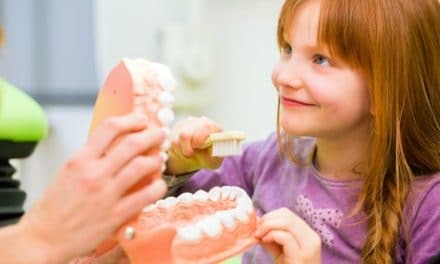 NextWhen to Take a Child to a Dentist? How to Prepare Yourself? How to Reverse Gum Disease on Your Own?